The fourth annual Clara Lionel Foundation Diamond Ball took place on September 13th in New York. Rihanna’s charity event is now one of the top places to be for generous celebrities and business people. Issa Rae hosted the event while DJ Mustard and Childish Gambino performed. Styled by Jahleel Weaver, Rihanna looked gorgeous in a white outfit and lots of sparkling diamonds. Rihanna wore Look 47 from Alexis Mabille‘s Fall/Winter 2018 couture collection. This is the first time she has worn this designer. The look comprised a lace jumpsuit with a silk skirt that tied in the front to create a giant bow. She also donned a pair of Jimmy Choo‘s Minny sandals. The minimalist ankle-strap heels didn’t detract from the gorgeous couture. Chopard provided all of Rihanna’s jewelry for the Diamond Ball. She sported a stunning pair of earrings from the “Garden of Kalahari” Haute Joaillerie collection. 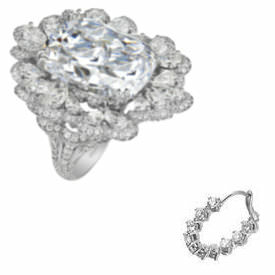 They feature an exceptional 50-carat D-flawless round brilliant-cut diamond set in 18k white Fairmined gold. 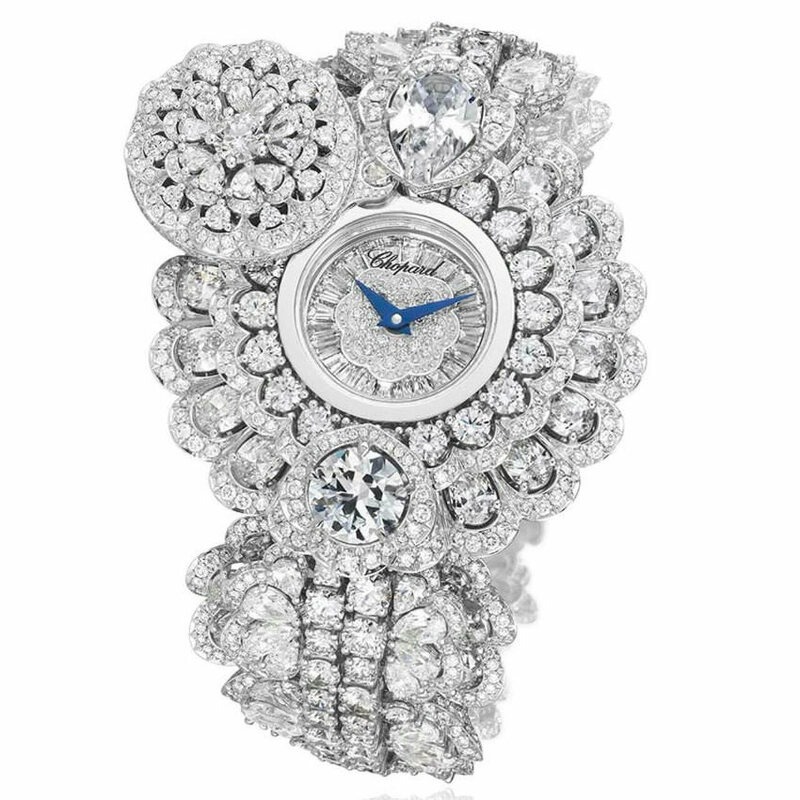 This “Garden of Kahalari” secret watch boasts a hidden face and white diamonds set in 18k white Fairmined gold. Rounding out the “Garden of Kalahari” pieces is an 18k white gold ring featuring a unique 20-carat D-flawless cushion-cut diamond and 6.9 carats of diamonds. Finally, Rih donned a single 18k white gold hoop earring from the “L’Heure du Diamant” collection.